Music for Autism is a 501(c)3 organization dedicated to enhancing quality of life and raising public awareness through autism-friendly, interactive concerts developed specifically for individuals with autism and their families. The concerts, held in the United States and the United Kingdom, feature professional musicians, including Tony Award winners, Grammy-nominated classical artists, and Pulitzer Prize winners. 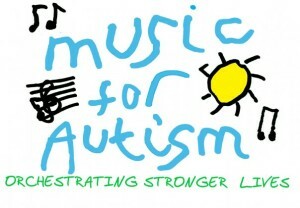 To ensure equal access for all, every Music for Autism concert is fully subsidized. Families note that the concerts help fill a major psychosocial void, enabling them to enjoy enriching activities that are inclusive and to experience the joy and power of music as a family. Each concert consists of “Concert time”, in which guest artists perform their favorite pieces for audiences who are encouraged to express their reactions to the music howsoever they choose; “Conducting time” in which audiences are encouraged to literally “conduct” the music themselves; and “Percussion time” during which instruments and small percussion instruments are distributed to allow the audience their own experience creating music! Before each concert, we provide each family a social story to help prepare their friend or loved one for the fun that is to come, and to ensure that everyone has the best time possible! Our concerts take place in the five boroughs of New York, in Washington, DC, in Houston and in LA. The next upcoming concert we are holding will be on September 28 at the McCarton School (331 West 25th St, NYC) and will feature John Arthur Greene of Broadway’s smash hit, Matilda! We look forward to seeing you at a concert soon! Written by: Different Roads to Learning on September 12, 2013. This entry was posted in Autism Awareness, autistic spectrum disorder, Community Programs, Conferences and Events, Guest Blog Post and tagged Autism Awareness, autistic spectrum disorder by Different Roads to Learning. Bookmark the permalink.